Walking down the streets on my way to my university, I see something that never stops to amuse me – two Mexicos, one next to the other. You can turn to the right and see a beautiful, modern and productive Mexico. Then if you look the other way, you see an informal, unproductive and marginalized Mexico. People are starting to get used to the idea of inequality, not only in Mexico but all around Latin America. I ask myself, “what causes these inequalities, and why do we live without fighting it?” It seems that people no longer care about the children or elders who ask for money in the streets. After giving them some money, people feel they have done everything in their power to help them. Mexicans with higher incomes feel bad about this problem for five seconds, and then they return to their normal lifestyle without thinking about inequality. They are ignoring the reality around them. Last year, I participated in an entrepreneurial contest sponsored by my university, Instituto Tecnológico Autónomo de México (ITAM), and the MIT Global Founders’ Skills Accelerator. As part of the contest, I was placed on a team with a political science student, an applied math student, an industrial and mechatronics student, and an economics student. The goal was to join different talents, skills and knowledge to create a business idea that could make the world a better place by helping older adults and children. Our team – composed of Victoria Medina, Benjamín Castro, Regina Ceballos, and Emiliano Gutiérrez, and myself – won 2nd place, and each member got a scholarship to spend 3 weeks in some of the most important entrepreneurial ecosystems in the United States. We approached our project through the two most marginalized groups in society: children and seniors. First, we focused on education, the problem that most impacts children. We started by researching statistics of education in Mexico, and we found that only 63% of children ages from 3 to 5 years attend preschool. The problem continues, as only 31.5% of people aged 18 to 24 to complete their education. The low percentage of children attending preschool caught my attention. There are multiple studies that prove the importance of early child care, because prevention and intervention programs are more effective at an early age. Early interventions can provide a good foundation for school success, by reducing school dropouts and increasing the chances for productive lives. I agree with the Institute for Research on Poverty from the University of Wisconsin-Madison, that “as long as some children have far less in the way of parental investment in them, society has an opportunity, if not an obligation, to try to equalize their opportunities for future success.” I would hazard a guess that every child in the streets would love to have the opportunity to study, to change their life path and be able to decide what they want for themselves and their families. Around the world, the population is aging. Most of the countries in Latin America are not prepared for this major demographic shift. In 2030, there will be more people above the age of 60 than young children under the age of 15. This presents many challenges for Mexico. Our society needs to work harder in order to protect elderly people from poverty. According to the Mexican National Institute of Statistics, there are 7,492,778 senior adults who work and earn less than the minimum wage. They should be able to have a dignified retirement after all they have done for us. Millions of senior adults experience discrimination in their jobs, which can lead to depression. In Mexico, depression is the most frequent affective disorder in people at then age of 60 and above. We need to stop seeing elders as burdens, synonymous with disease, inefficiency, and lack of productivity. As a country, we are ignoring older people with life experience, while at the same time we are raising younger generations without educational opportunities with experience. This creates a deep social problem. 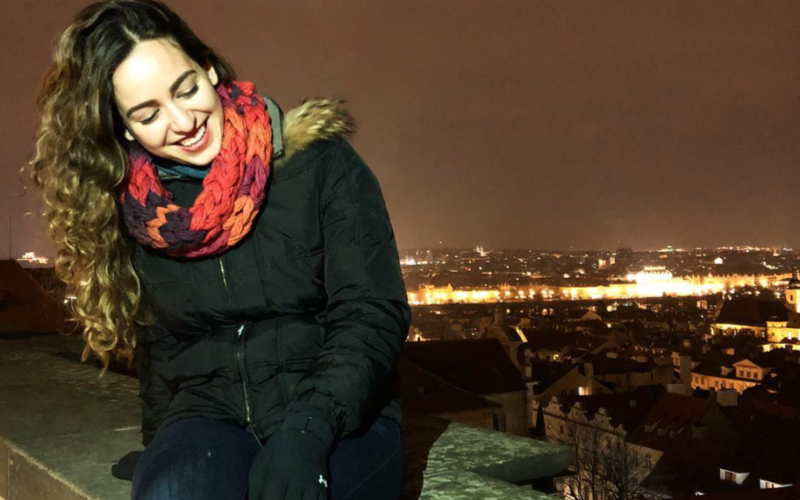 I am a co-founder of KnowlAge, an organization that creates intergenerational connections to improve the quality of education in Mexico. Our goal is to connect wisdom with imagination. 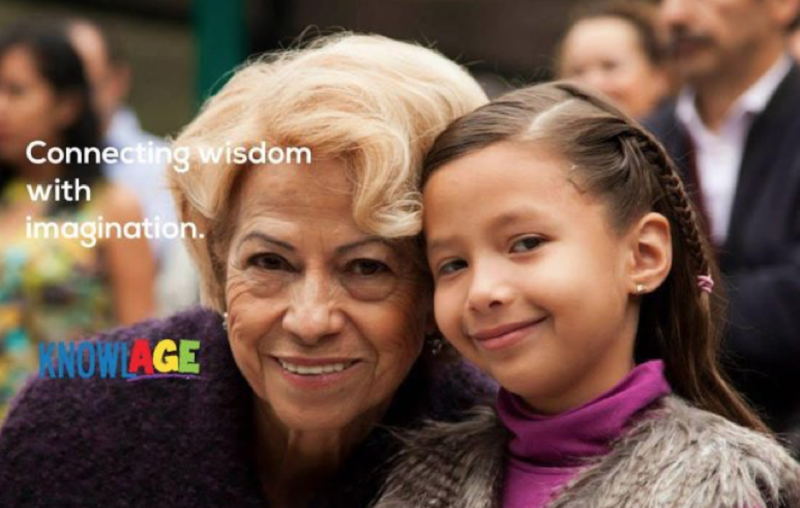 We believe elders have knowledge and values that need to be shared with younger generations. The KnowlAge team trains elders so they can teach young children and introduce them to a love of knowledge. It’s the perfect solution for the two most marginalized groups of our society. The future is in our hands, and it is up to us to try to make a better world for everyone. After attending the Hub Crawl through Leadership Exchange program, I see myself in the future developing KnowlAge, not only in Mexico but in more countries. I think this project has the power to change the perception we have about the elders. I’m going back to Mexico as a global citizen. I feel identified with this new world. I’m conscious that I belong to one big community. A community in which my actions can change or affect the values and practices of society. With all the problems modern society is facing, like the shift of the population pyramid, we are in the need of innovators. Innovators who are willing to act as leaders or as first followers. The world needs global citizens acting together for a better world. I want to conclude saying that I take many things from this program. Much of them I cannot explain them, but I feel different, more determined to make a change in the world. Meeting people from all over the world, with the same drive and determination, motivated me. I go back to Mexico knowing about different problems and needs which I wasn’t aware of. I go back knowing that I have built a social network that can help me improve our society. I go back knowing that there’s a huge room for improvement and that there are many confident, independent and strong women determined to make changes.